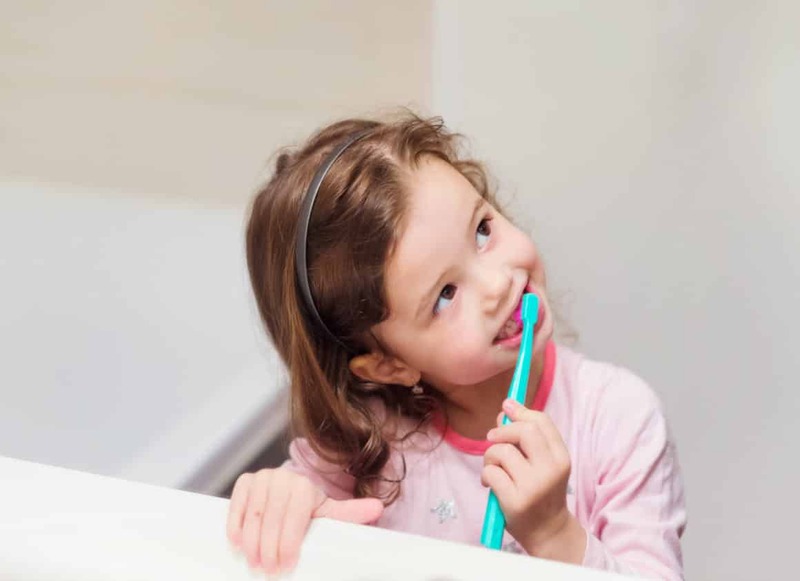 Most kids are too young to fully understand why brushing their teeth is so important. That’s why you need to start teaching them how to do so first. It doesn’t have to be a war to try and get them to brush. Here’s how you can help your kids brush while getting creative and making it fun. Make the trip to the store special for your kid. Let them pick out their own toothbrush, perhaps with their favorite character on it. Let them pick their own flavour of toothpaste as well. Not every kid likes the taste of mint. If they like a different flavour, such as watermelon, bubble gum, cinnamon, or berry, they will be more enticed to brush their teeth. Let your kids watch you brush your teeth and then brush with them. Be goofy by making faces in the mirror. Put on some music, jump around, and use your toothbrush like a microphone to sing along. When buying a toothbrush for your child, let them pick one out for their favorite stuffed animal. They can practice brushing their stuffy’s teeth, while you help brush theirs. Let your child brush your teeth (don’t forget to thoroughly brush again later). There are a couple of apps you can download to an iPod or tablet. “Brush DJ” plays two minutes of music (two minutes is the recommended time for brushing) while your child races the clock to brush their teeth before time is up. “Star Teeth” lets your kids pick a character to encourage them while they brush their teeth. It is okay to have a reward system in place. This is not a bribe; it’s simply rewarding your child with a good choice. There’s no need to spend large amounts of money on elaborate prizes either. You could do a sticker chart, let them pick a favorite book to read after they have brushed, maybe a favorite TV show to watch or a game to play. There are many ideas for rewards that are inexpensive; go with what you think would work best for your child. By getting creative and making their bedtime fun, your child may eventually look forward to brushing their teeth as a part of a healthy regular routine. You can turn teeth brushing into a favourite part of the day and not a chore that everyone hates!